Ten-year-old twins Tatum and Ian Weir aren't about to let matching, minor injuries deter them from their goal of becoming the first sister-brother pair of Eagle Scouts. "I cut myself, too!" Tatum said, pausing only briefly during a recent Cub Scout meeting to touch her thumb to her brother's before continuing on with a woodworking project. 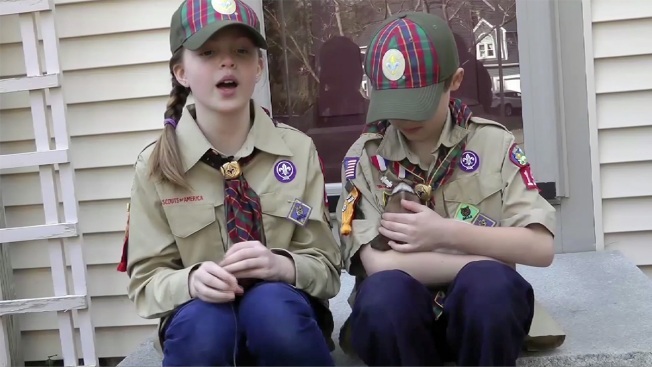 New Hampshire's Daniel Webster Council, which includes Durham's Pack 154, is among more than 170 nationwide participating in an early adopter program as the Boy Scouts of America begins welcoming girls into the organization in new ways. The soft launch followed the Boy Scouts' announcement in October that it would begin admitting girls into the Cub Scouts starting later this year and would establish a new program next year for older girls based on the Boy Scout curriculum. "We heard from our families, 'OK, you've made the decision, can you please give us a way to do this right now because we've got families and daughters that are just really excited about it," said Boy Scouts spokeswoman Effie Delimarkos. "We heard that so much that we decided to kick off this early adopter program with the understanding that a lot of the materials we're working on, in terms of uniforms and handbooks and so forth were still in development," she said. "But folks were very understanding. They just wanted to be able to start." 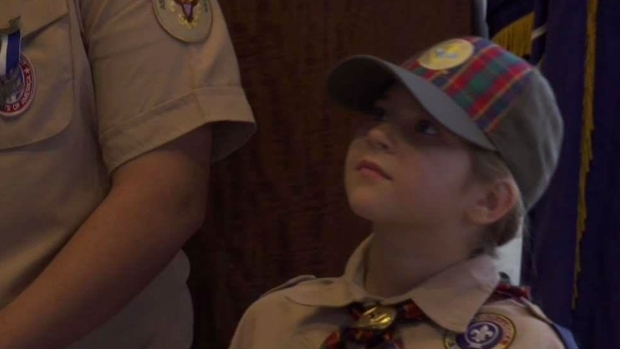 About two-thirds of councils nationwide signed up, bringing roughly 3,000 girls into the Cub Scouts so far, she said. Under the new plan, Cub Scout dens — the smallest unit — will be single-gender, either all boys or all girls. The larger Cub Scout packs will have the option to remain single-gender or not. 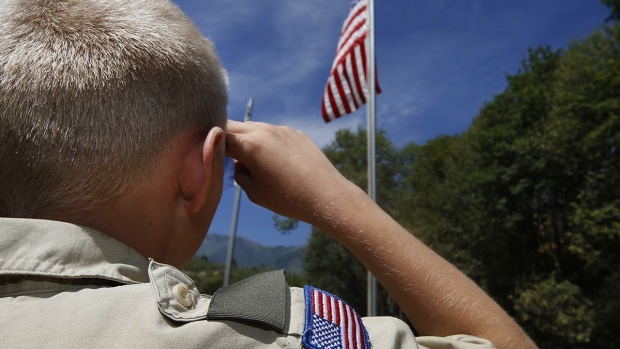 Scouting leaders have some leeway, however, particularly in smaller communities. In Durham, for example, den leader Tuck Pescosolido recently led a group of four girls and four boys as they built wooden toolboxes. As the project got underway, the girls raised their hands and waited to be called on, while the boys were somewhat silly, cracking jokes about flying airplanes when asked about drilling pilot holes. But once they settled into the activity, things leveled out. "I didn't want to stereotype. But yes, I did expect perhaps the girls would be a little bit calmer, would be a little bit perhaps easier to manage in my role as the den leader, and to a certain extent that has played out," Pescosolido said. "But it's done so in a great way. It's not that the girls are sitting still. It's that they are very highly engaged in the task and they're less, perhaps, distracted by other things than the boys are." The girls have gotten an enthusiastic welcome from Scout leaders and the boys themselves, he said. Some of the new members are friends the boys recommended, while others are sisters of Scouts. BSA officials have said the changes are aimed, in part, at making things more convenient for busy families, though that notion doesn't sit well with some leaders at the Girl Scouts of the USA. "To me, a daughter is not a matter of convenience. You've made the choice for your son based on what you thought was best for him, and the daughter should be getting a similar decision. We know facts prove that the Girl Scout program is the better program for the girls and young women we serve," said Patricia Mellor, CEO of the Girl Scouts of the Green and White Mountains, which serves Vermont and New Hampshire. "I welcome opportunity for girls, but for years, I've been reading the cases and the information coming out from Boy Scouts that their program was specifically designed for boys, only for boys," she said. "I see that they're not changing their programming and wonder why they believe a program designed by men for boys is going to meet the needs of today's girls." In Durham, 9-year-old Sadhana Muppala said she didn't know much about Girl Scouts — "I feel like they make cookies" — but has enjoyed her Cub Scout experience so far. Building the toolbox was even more fun than she expected, she said, "Because we got to do it ourselves." Tatum Weir agreed. She had been to a few of her brother's meetings — their dad is the assistant den leader — and was eager to join. "I thought it would be pretty cool because I thought it would be a good opportunity to do with my brother," she said. "There's a lot of cool activities." Asked what he likes about Cub Scouts, Ian Weir ticked off a short list: going places, nature, and "Tatum's in it." "I was a little skeptical because it was me and my dad's thing, but when Tatum got in it was even more fun," he said.